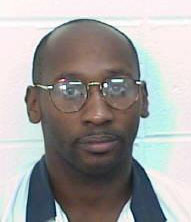 Troy Davis was executed at 11:08 pm ET. This execution was a grievous wrong. Rest in Peace, Troy Davis. The Georgia Board of Pardons and Parole has rejected clemency for Troy Davis. His legal appeals are exhausted, so his latest last-ditch effort before the parole board appears to be his last chance to be spared execution. No appeal to the Supreme Court allowed? Good read: Andrew Cohen's The Death Penalty: Why We Fight for Equal Justice. 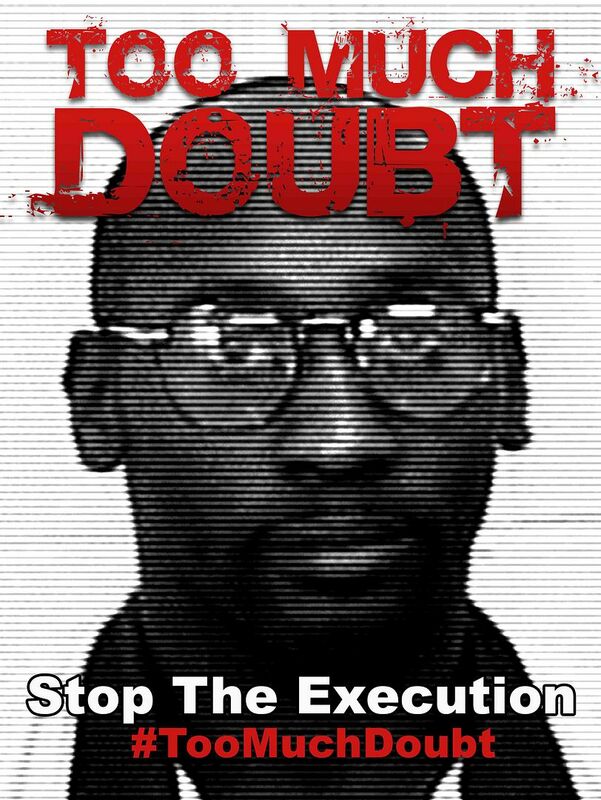 300 protest rallies around the world are being held today over the planned execution of Troy Davis. The petition delivered to the Georgia Board of Pardons and Paroles had 638,000 signatures and support is growing daily. Many say it's the most compelling case of innocence in decades. The Georgia Board has rejected clemency petitions for Troy before. It's also granted temporary stays of his execution. Today is Amnesty International's Global Day of Action. More than 100 protests are planned. Among them is one in Georgia for death row inmate Troy Davis, who has a compelling case for innocence. Amnesty asks you watch the video and forward it on to a friend. The Supreme Court today denied cert for Georgia death row inmate Troy Davis. In September, the Court had granted a stay hours before Davis was to be executed. 7 of the 9 witnesses against him recanted their testimony and the eyewitness evidence in the case was extremely problematic. 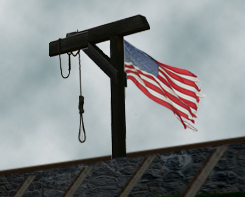 The U.S. Supreme Court denied Davis’ petition for writ of certiorari that was submitted on constitutional grounds of due process and cruel and unusual punishment violations if an individual is put to death despite significant claims to innocence. Davis’ attorneys filed the petition after the Georgia Supreme Court’s narrow 4-3 ruling to deny Davis an evidentiary hearing last March; the ruling was based on technicalities rather than basic questions of guilt and innocence. Bump and Update: The Supreme Court granted a stay of execution at 5:20 pm ET. Troy Davis, who many believe is innocent and wrongly convicted, is hours away from execution in Georgia. Troy Davis was sentenced to death for the murder of Police Officer Mark Allen McPhail at a Burger King in Savannah, Georgia; a murder he maintains he did not commit. There was no physical evidence against him and the weapon used in the crime was never found. The case against him consisted entirely of witness testimony which contained inconsistencies even at the time of the trial. Since then, all but two of the state's non-police witnesses from the trial have recanted or contradicted their testimony. Many of these witnesses have stated in sworn affidavits that they were pressured or coerced by police into testifying or signing statements against Troy Davis. One of the two witnesses who has not recanted his testimony is Sylvester "Red" Coles – the principle alternative suspect, according to the defense, against whom there is new evidence implicating him as the gunman. Nine individuals have signed affidavits implicating Sylvester Coles. How many of you have ever heard the voice of a death row inmate? Now you can. Amnesty International asks you to sign a petition for Troy and listen to what he has to say. Troy Davis was convicted without any physical evidence. 7 of the 9 witnesses against him have recanted or changed their testimony. Amnesty's 35 page report on his case is here (pdf). Following next week's hearing, the court could order a new trial for Davis or order a hearing on the new evidence in the case. The hearing will be webcast live. Troy Davis is on Georgia's death row. He may be innocent. Tuesday is Troy's birthday. Check out the Troy Davis "Innocence Matters" Video Project. Troy Davis' birthday is October 9th and to mark this occasion, a coalition of global supporters have organized this video project to wish Troy a 'Happy Birthday' and to reaffirm to the state of Georgia that 'Innocence Matters! The Troy video project is simple. Using a webcam, camera phone, camcorder or any other recording device, simply record as creatively as possible a positive video of 60-seconds or less wishing Troy a ‘Happy Birthday’ while reaffirming to the state of Georgia that the global support network behind Troy believes Innocence Matters! There are 35 videos so far. For the non-video savvy, there's also the NCADP's action alert page for Troy with the ability to send a letter. You can read Troy's story here.